It should go without saying that your headlights are incredibly important. They let you see on the road when you’re driving at night, and they help others see you. That’s all easy to understand, but few people understand just how big of an impact headlights have on driver safety. While there’s 60 percent less traffic on the road at night, up to 40 percent of traffic fatalities take place in the dark. While there are plenty of factors that can increase the possibility of an accident at night, poor visibility is clearly one of them. If you’re driving at night, it’s incredibly important that you have well-functioning lights. You need both high and low beams working properly to help ensure safety. Drivers may also want to improve their car’s lighting by upgrading the bulbs in their lights. At the very least, you should regularly check your headlights to make sure that they are functioning properly, as bulbs do burn out or dim over time. At least once a year, we recommend that you have the expert technicians at Chevrolet of Homewood inspect your car’s headlamps to make sure they’re functioning properly. Another simple way to make sure you’re getting the most out of your lights is to regularly clean your car, and polish the plastic lenses. Overtime, lenses can become cloudy or yellow and reduce the effectiveness of your headlamps. Regular cleaning and occasional polishing can improve performance of your headlights. Check and replace your headlight bulbs regularly. Clean and polish your headlight lenses regularly. Have your car’s headlights inspected by professionals once a year. 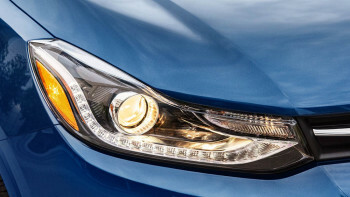 If you’re having trouble with your headlights, visit Chevrolet of Homewood today or schedule service online now. Here at Chevrolet of Homewood we’re proud to provide drivers in the Chicagoland area with expert maintenance and service, so stop by 18033 S. Halsted St. in Homewood, IL to make sure your headlamps are working properly.